Didn't expect I'll be hearing the hyper-chilled side of blackwave., but here I am. This is the exact track you need to ease out Friday. 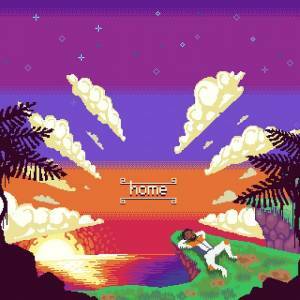 The Belgian duo, which I've been following for a while now, just released this super smooth, lovely single, called "home", featuring Caleborate. It's features an indie folk inspired beat, crossed over with modern hip-hop. To me, the song is about not feeling at home. Not in a literal, location bound way, but in a personal, almost spiritual way. I guess we were all still searching. I'm super happy I've stumbled upon this gorgeous piece. Although it's kinda melancholic and homesick-y, it actually puts a smile on my face.